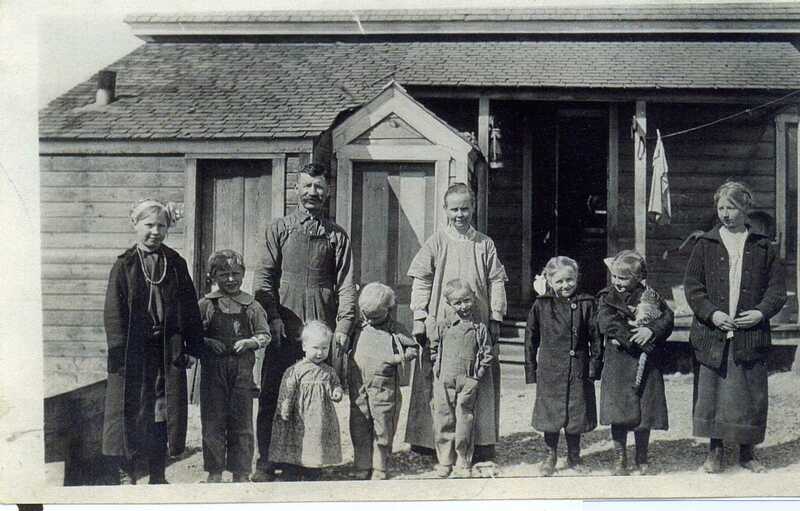 Felix Sully family in front of their home at 125 2nd Street; L to R: Mildred, Joseph, Felix with Ferdinand (Shorty) in front, Lawrence, Francis in front of Ellen, twins Norma and Melba, Leona; photo c. 1918 courtesy Myrtle Sully Gamble. Felix Sully was born February 22, 1865, in Cilla, Sevida, Italy. He came to Ogden in 1900 and married Ellen Johnson (1874-1938) who lived at 85 Harrisville Road. For the next seven years he worked as a section foreman for the Denver & Rio Grand Rail Road. In 1907 he quit the railroad and learned to farm so that he could spend more time with his family. “He learned how to farm and for a man who knew nothing about making a living from the soil for his family, did pretty good.” Felix Sully bought ten acres and built a two-room house with a cellar located at 125 2nd Street. He later added three more rooms. As the children became old enough to hold a hoe or pull weeds, they went to work on the farm, and Felix seldom had to hire farm hands. Felix died December 1955. The house at 125 2nd was demolished in the 1990s. None of the old Sully houses remain intact, but there are many living descendents. 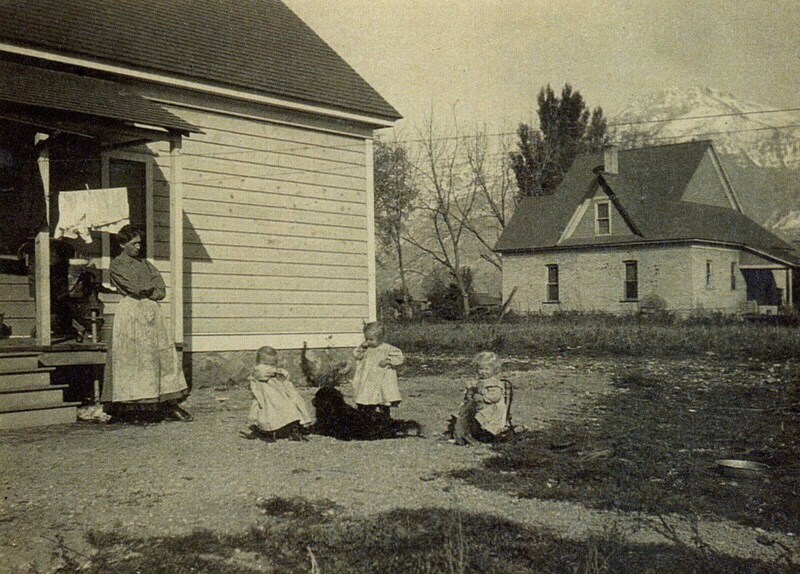 Felix Sully house on left and Porter Pierce house on right (141 2nd St.); Sully twins and a friend playing; photo 1907 courtesy Myrtle Sully Gamble. 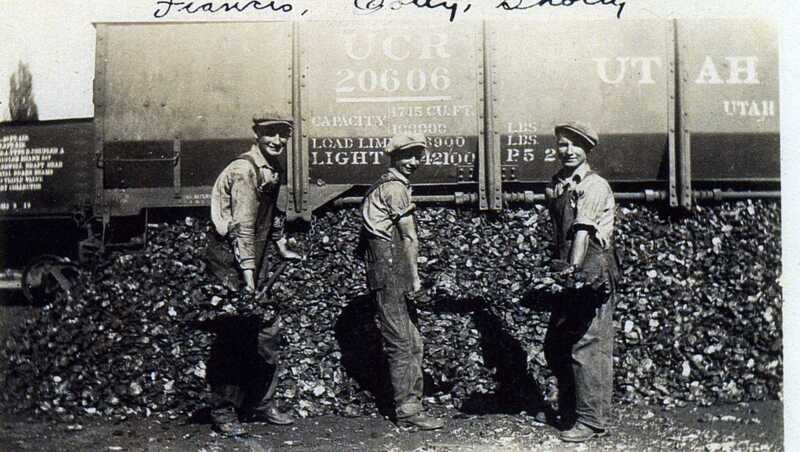 Francis, Cotty and Shorty Sully at Pioneer Coal & Lumber, Five Points; photo c. 1930 courtesy Myrtle Sully Gamble. 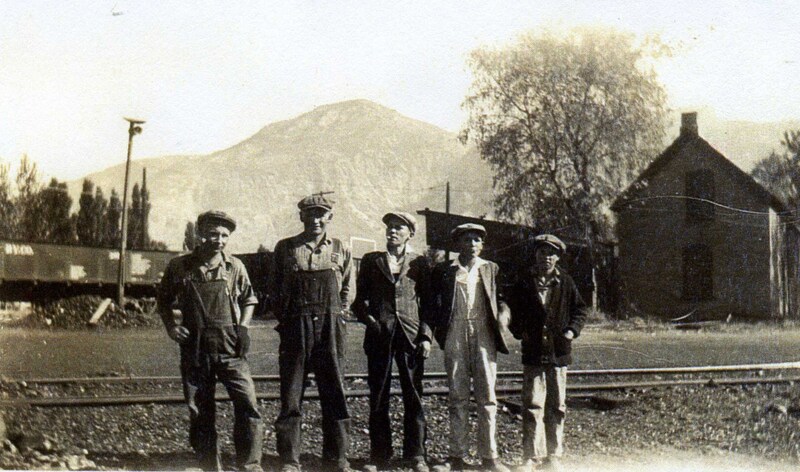 Cotty & Francis Sully and 3 friends, Pioneer Coal & Lumber yard, Five Points; photo c. 1930 courtesy Myrtle Sully Gamble. Leone Sully Wedde, The Sully Family, manuscript, p.4, 5, 8. Ibid, p. 8; Melba Sully Di Grazia, The Sully Family, manuscript, 1966. p,1. This entry was posted on November 6, 2010 at 6:04 pm	and is filed under 5. LYNNE, WEST SIDE, f. Sully Family. You can follow any responses to this entry through the RSS 2.0 feed. You can leave a response, or trackback from your own site. Thank you for the story. This is my moms family, she died when I was fifteen sio I don’t know much history.